I’ve heard of a new book that I wanted to share with my readers. I have yet to read the book. The author was on a radio show I listen to and discussing the connection between our intuition and our ability to be creative. The Book is called “Quantum Creativity “. The intention behind the book is to enable people to tap into the creative abilities that are inherent in each of us. I’ve talked a lot on this blog about our abilities to balance being a core component of our reality. The world at large asks us to “Go Go Go”. Go build something, go buy something, go watch something. Or in other terms “Do Do Do”. Do this. Do that. etc. While mindfulness based practices are always asking us to “Be Be Be”. Be mindful, Be meditative, Be in the moment. And I’ve come to believe that the truth is somewhere in the middle. While we are a world that is out of balance on the “Do Do Do” side. 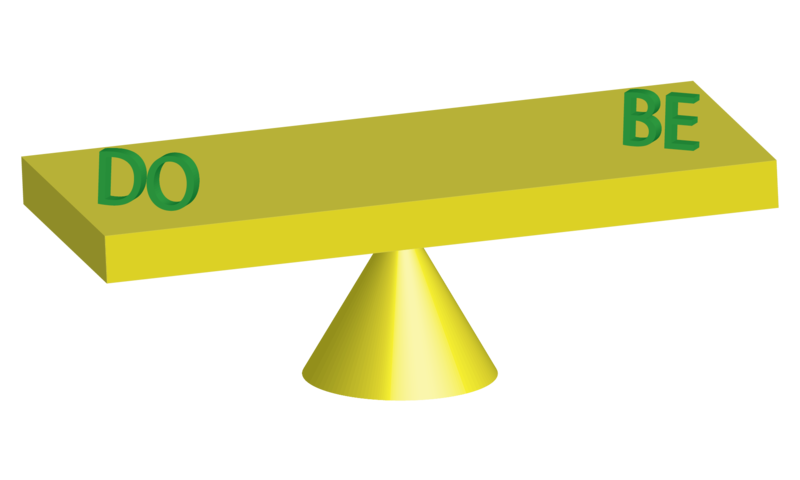 The solution is not to be out of balance on the “Be Be Be” side. Our solutions should lead to balance and moderation. So when I heard the author, Amit Goswami, Ph.D, cleverly suggesting we “Do Be Do Be Do” (giving credit to Frank Sinatra for the original phrasing), the concept clicked with me. His concept is that our creative energies available to us through mindfulness and intuition, cultivated in the act of “Be”ing. Can then be leveraged in our world of “Do”ing. I like that idea and I plan to do further research into it. I hope you have a wonderful day as you seek balance between the “Do” and the “Be”.